The International Council of CCLP Worldwide calls on academic fraternity, NGOs, Civil societies, Governmental Bodies and individual youth to take part in the promotion and practice of principles and provisions enshrined in Education Charter International. 1. Academic Signatories that includes legally operated Schools, Colleges, Universities, Professional educational bodies etc. 4. Individuals of 18 years or more. 2. A letter of intent clearly stating the endorsement of Education Charter and in principle agreement with the provisions of the Charter must be printed legibly preferably in A4 size. The letter must be written in English or any other language supported by translation in English in official letter head to be signed by the head of the organizations or by authorized person with seal. The scanned image of the said letter may be emailed to info@cclpworldwide.com along with short introduction of organizations, contacts, principal officers, mission statements, any annual report etc. 3. The applicants must also agree to embrace, comply with and promote the Charter (as amended from time to time) in its entirety. 5. In case of individuals self signed letter in his or her letterhead is required Additional information may be requested. It is encouraged to apply along with your academic qualifications. 6. The Charter secretariat may ask for any clarification or additional information or documents to support the application. 7. There is no application or processing charge for this. 8. The decision of Charter Secretariat shall be final and will be intimated to applicants within 45 days of submission. 9. Incomplete application without supporting or non serious applications are liable to be rejected without assigning any reasons. Organizations that are approved by the Charter Secretariat have the status of "Official Academic Signatory or Official Government Signatory or Official CSO signatory"
After first year of reporting Governments signatories and Academic Signatories have the status of "Active Academic Signatory and Active Government Signatory respectively. Entitled to attend workshops, trainings and peer-review sessions organized by the CCLP Worldwide and its associates or chapters. Entitled to participate in Charter expert networks as organized by the CCLP Worldwide. Entitled to be listed on the Charter website as Active or Official Signatory. 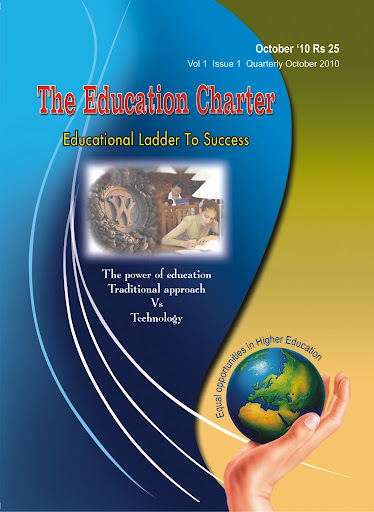 Entitled to send related articles for publication in education charter magazine. Entitled to apply as member of different committees as established by CCLP Worldwide. Copyright 2012-13 CCLP Worldwide. All rights reserved.